We welcome your inquiries and are always looking forward to new challenges. What boundaries can we push for you? Bowers Precision has been pushing boundaries, machining parts that many shops wouldn’t touch, and coming up with creative solutions since 2006. A one-man operation run by owner-operator-programmer-engineer, Todd Bowers, we are a small, family-run shop that delivers surprisingly big results. Bowers Precision is not your average machine shop. As a well-equipped, small shop with low overhead and a uniquely skilled operator, we have the flexibility and expertise to handle complex parts that large scale shops don’t have the time, patience, or expertise for. While we do some production machining, we specialize in, and prioritize, parts that require problem solving and complex solutions. Bowers Precision was initially started in 2006 by Todd Bowers, mechanical engineer and uniquely skilled machinist, as a side business. The business has successfully grown in customer base over the years to include solid customers including Lockheed Martin, Hyperloop, Willis Equipment, Mission Motors, and many others. We also do work for other machine shops that contract out parts that require more expertise. Our reputation has grown through word of mouth, and our business eventually grew to the point where Todd could devote himself full time to Bowers Precision. Todd has 16 years of experience with over 10 years of experience making custom machined parts and managing the manufacture of complex components. After earning his Bachelor’s Degree in Mechanical Engineering, Todd spent 6 years as a mechanical design engineer at Lockheed Martin before getting into manufacturing. He later spent 7 years as the manufacturing manager at Lightsail Energy. In his former careers, Todd was highly regarded as a skilled problem solver who was able to handle unique and complex parts that required his level of expertise and knowledge. Todd carries this combination of education and experience into his work at Bowers Precision. As an engineer himself, he communicates more effectively with engineers and understands mechanical requirements on a deeper level than the average machine shop. Todd also makes his engineering skills available to customers who need engineering consulting or mechanical design help. Bowers Precision components are handled personally, with every aspect of manufacturing being handled by Todd himself. He personally programs and machines the components. Parts that need outside processes, like plating or heat treating, are personally driven to the subcontractor and directions are explained in person as well as on paper. Todd also personally handles shipping and often does local deliveries himself. This reduces errors and shipping damage while also reducing lead time. If your parts are critical and need a knowledgeable person to take full responsibility for their manufacturing, Bowers Precision is for you. Bowers Precision works very closely with our customers. Our goal is to make your project work smoothly. We know that the design of complex parts often needs readjustment and will problem solve with you to find the ideal solution. If you need manufacturing advice or help solving a difficult problem, Todd is always available directly via phone, email or text. Bowers Precision will always go above and beyond for our valuable customers. "We needed CNC machined parts for the world’s first Hyperloop Pod. We needed them done right, and we needed them done fast. Bowers Precision delivered!" 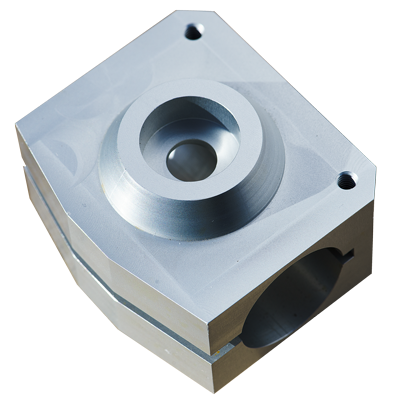 "Bowers Precision provides high quality machined parts with extremely short lead-times, at competitive prices. They stand behind their work and provide a finished product that meets print, which is a rare quality given the fast lead times they work to." Copyright © Design by Themefisher. All rights reserved.